Mayhem on a a red double decker bus with LED lights and massive sound system as it drops you off at some of London’s best bars and clubs with free entry and drink deals! Whatcha waitin for? 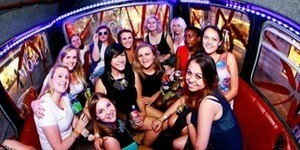 Hop on board The London Bus Party right away. 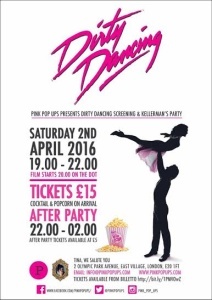 It’s time to go back to summer of 1963 with Pop – Up Dirty Dancing. Mambo on down to Tina, Pop in to London’s East Village to see it transformed into a Kellerman’s Resort for a screening of the classic movie Dirty Dancing. Sip on a baby Bellini or an I carried a Watermelon Martini while celebrating the best movie sound-track of all time. Don’t be the one sitting in the corner. Immerse yourself in this timeless film treat. Relive Patrick Swayze and Jennifer Grey’ssizzling love-story in the ultimate romance movie. Themed costumes are encouraged. Have the time of your life! 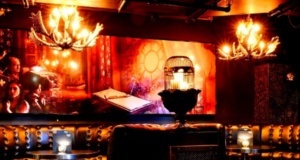 Relax mid-week every wednesdays at the Smooth Jazz Lounge as resident DJs spin out some cool jazz tracks while a silent film plays in the background. Come after work, on a date, for a drink or meal, to read a book. Entry is free. The autumn breeze may have begun to blow but things sure will be smokin hot at the Hot Shorts Film Festival London 2016 this October! A screening of short films from various genres mixed with some delightful entertainment and accolades. Brought to you by What’s Hot London? a festival celebrating the underrated, unconventional but HOT talent with some cool mingling and networking for anyone and everyone associated with films and who want to explore their passion for showbiz. An evening not to be missed! We know it can be especially daunting if you are solo, shy or just out of gear to put yourself out there. But dontcha’ worry, we have a skilled events team who will be there to greet you and introduce you to other members of our group as well as familiarise you with the venue. We just all want to have a fun night! NOTE: I.D. will be required if requested, otherwise admission may be refused. Dress Code: Smart/casual with no scruffy jeans/trainers, hoods or hats. £5 Admin fee payable to the host at the venue. Please be at the venue by 11pm latest (to avoid any door charges). 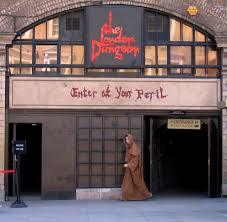 Hot Halloween🔥 Visit to London Dungeon Half price tickets! Gents in your smartest rags and Dames in your spookiest attire! We want to have a night to remember not just for the scares but for the experience! Tickets are priced at just❗️14.50❗️(🙃 I know right?) with a £2 admin fee and we will also be going for drinks once we’re all spooked out! 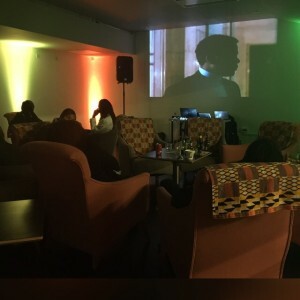 So whether your planning on just having a quick laugh and a quiet night or you want to fully experience one of London’s HOTTEST events with the HOTTEST meet up group, you’ve come to the right place! Tickets are extremely limited and the half price discount is on a first come first serve basis so make sure you RSVP today! Tickets can also be bought at the door however they are priced at ⚠️£29⚠️ and on Halloween demand is THROUGH THE ROOF! 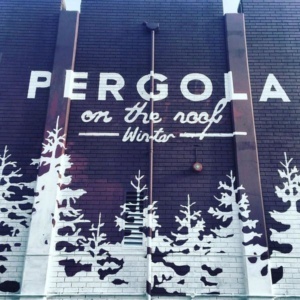 For those of you who remember the beautiful summer setting of Pergola in the past months, they have revamped the whole upstairs of the old BBC carpark and turned it into a mystic winter setting😱! ‘So…. This winter we’re back, with a bang! Opening on November 3rd we’re transporting you into a Nordic-mystical forest dining scene, set 100-feet-high under a canopy of holly, ivy, and winter flowers and filled with some of London’s finest restaurants. For more information please get into contact with the host! Welcome to the one of the most mystical💫 theme lands London has to offer! Winter Wonderland ❄️ opens from the 18th of this month and we’ve planned for a Meetup the Friday after it’s grand opening👍! Winter Wonderland will be celebrating its tenth year at Hyde Park so expect a very very special night 😎! Have the opportunity to go Ice Skating, view the Magical Ice Kingdom, have a drink at Bar Ice, be amazed by Zippo’s Christmas Circus or ride the Giant Observation Wheel! I’ll definitely be taking part in all of these activities but if any of them don’t sound attractive to you then you can explore the beautiful setting for together for free! 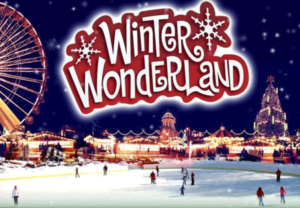 Join the Hottest Meetup in London for a Winter Wonderland Adventure!! If you have any questions please do contact the Host! What’s Hot London? presents The Hot Bakes – The London Bake Off 2016! Whether you are young or old, skilled or just finding your feet Hot Bakes – The London Bake Off 2016 celebrates the unsung heroes of the baking world! This winter, What’s Hot London? has teamed up with Richmond council to bring you an exciting Bake Off, in the most beautiful borough and location London has to offer! Whether you believe you are a magical maverick in the kitchen, or you just want the world to taste your bakes this is your platform to do so! In this unique opportunity you get the chance to not only enter the competition, but to also rent a stall and sell your bakes on site, to the rush of hungry bake fanatics awaiting! The day will end with the final competition where a bunch of high profile judges will taste and rate your bakes! Winners take all! Entry into this event for consumers will be free so make sure to bring enough bakes to meet the demand! Yes people! FREE ENTRY to general public. Come, treat yourselves to some yummy goodies this X’mas! And for all you bakers out there, spaces will be extremely limited for bakers’ stalls so if you want to participate, put your baked goodies on display,sell and compete to win the Hot Bakes- The London Bake Off 2016, click on the Tickets tab above on this page to book your stall today! Heat or dust, rain or shine, we stand for the unwavering spirit of Londoners and believe the show must go on. 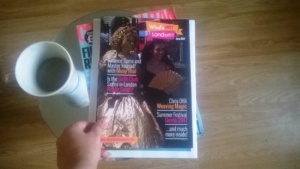 Come join us as we celebrate the launch of What’s Hot London?’ magazine’s debut edition. Grab a copy (if you haven’t already), network with creatives, sip a beer, shake a leg as we celebrate London, celebrate life. Just get yourself on our guest list. Arrive before 9.30pm to avoid door charges. Yay! It’s party time!